Arsenal have been boosted by UEFA as it is set to give them the required backing ahead of the Europa League final. The European football governing body will assist the Gunners in obtaining a visa for Henrikh Mkhitaryan should they make it to the end of the contest. 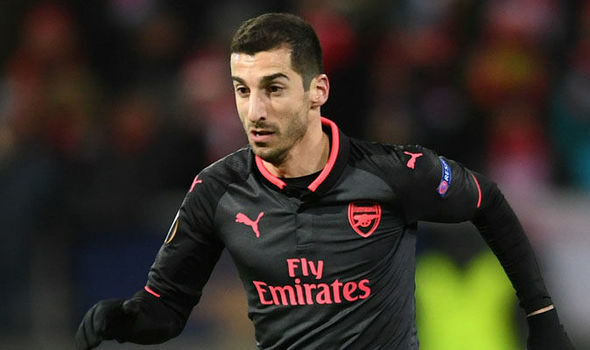 The midfielder, being an Armenian, is at risk of visiting Baku as a result of an age-long rift between his nation and Azerbaijan which will host the final. This was probably why Unai Emery did not bother to include the former Manchester United star in the squad when the North London club made a trip to the said country to lock horns with Qarabag in the course of the group stage. Now, Mhiki has got the chance to be a part of his team's train to the capital when the last game holds on the 2bth day of May. UEFA, according to ESPN, maintain high confidence that the 30-year-old would be handed his Azerbaijan visa on the ground of sports. Arsenal are on course for the semi-final owing to their 2-0 win over Napoli last Thursday, courtesy first-half goals from Aaron Ramsey and Lucas Torreira. They will be in action for the return leg of the encounter in Italy this week. Arsenal crave to return to the Champions League, a feat they would achieve if they win the Europa League. They would still qualify with a top-four finish in the Premier League. A rickety 1-0 win over Watford on Monday night shot them from sixth to fourth position with five more games to play.